2017 was a big year for the internet. Just under a quarter of a billion new internet users came online for the first time last year. As of January 2018, over 4 billion people in the world use the internet. That’s over half of the world’s population. The African continent alone has seen internet use grow by 20% year on year. That’s a lot of people, and a lot of those people are using social media. In fact, in 2017, 81% of internet users in the US had at least one social media profile and there were 2.13 billion monthly active Facebook users. Twitter, Facebook, Instagram, Weibo, YouTube, Pinterest, LinkedIn, SnapChat, the list goes on and on, and each platform offers an opportunity for businesses to reach their audiences in new and exciting ways. 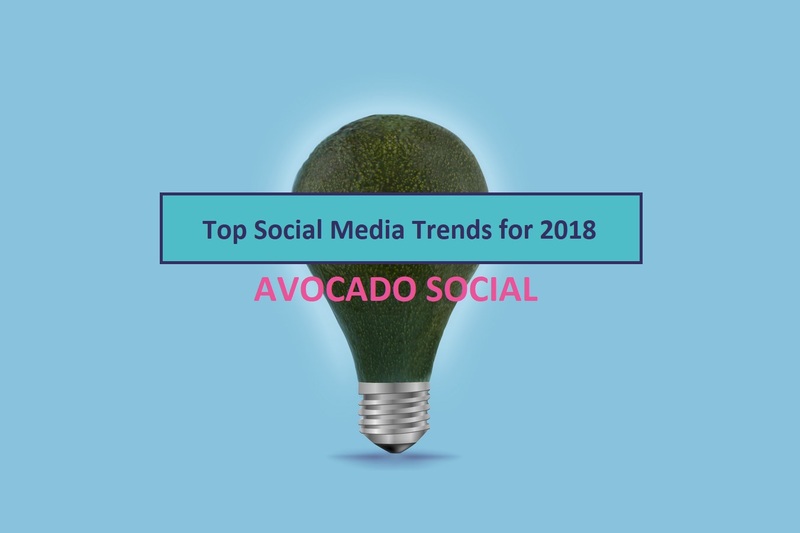 Alison Battisby, founder of Avocado Social, began by stating that one of the main trends for social media this year is passivity. This makes complete sense really, social media is not necessarily exciting and new anymore – a lot of us have been using it for a decade or more, and it’s lost its shine. We simply scroll for scrolling’s sake, and because it’s habit to wake up and, bleary eyed, check our feeds. If checking social media has become a passive, rather than an active, activity, then how effective is it as a way for brands to reach their audiences? Alison noted that because behaviour has changed on social media platforms, it is important to adjust our expectations. People do not like to click on things much anymore- they prefer to stay within the platform that they are on rather than heading off onto other websites. This means that we need to concentrate less on clicks, and more on impressions. Social media has become much more about branding and brand awareness – creating brand visibility rather than getting people to click through. It’s still important to have a presence on social media and in social media advertising for brands, but they cannot expect to get the kinds of clicks that they used to. Facebook in particular has faced a few problems over the last year. Promoting propaganda (stats show that 45% of American adults get their daily news intake from Facebook), hosting unethical or illegal content, and causing anxiety and depression in children and teens are just some of them. Mark Zuckerberg made a statement on 12th January explaining how Facebook is going to give the power back to the people. Consequently, the newsfeed on Facebook is now giving more space to groups and messages rather than branded posts and businesses. The power is being given back to people’s interactions and is being taken away from brands. Alison said that in 2018, there will be even more new social media features for personal use, but that can also be adopted by brands to interact with consumers. These features, such as Instagram Stories, are perfect for enhancing brand personality and creating ever more innovative and creative content. She said that brands shouldn’t afraid to be creative and really get stuck in to making content that their consumers will relate to and enjoy. It’s important not to get too bogged down in the digital space and forget that consumers are real people in the real world. Whilst it’s good to interact with them on social media platforms, it’s just as important (perhaps even more so) to engage with them in person. Brands need to create real world experiences, such as pop ups, exhibits and conferences, for their consumers that people can then enhance through social media by tweeting, leaving Facebook comments, sharing photos on Instagram or creating videos on YouTube.